ALL-NEW ENERGY MODE X18+ PURESPEED. X IS OUR SPEED FRANCHISE AND THAT’S WHAT ITS BUILT FOR. A PURE EXPRESSION OF SPEED AND SIMPLICITY. THINK FAST. PLAY EXPLOSIVE. 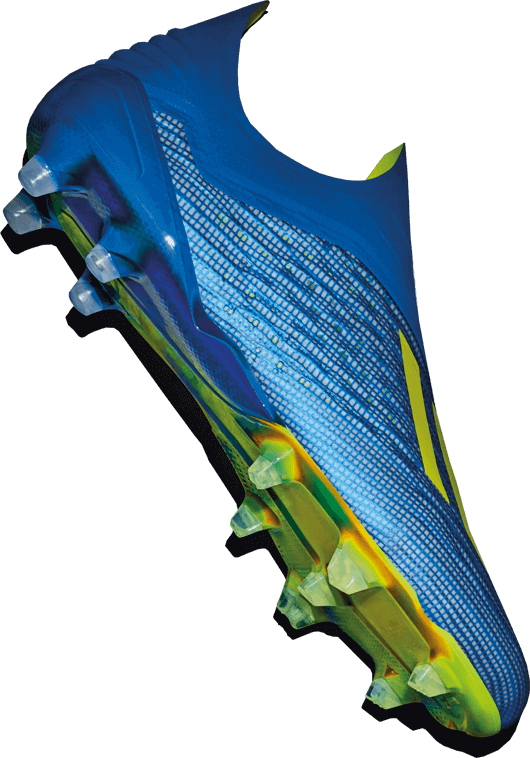 UNLEASH SPEED. X IS OUR SPEED FRANCHISE AND THAT’S WHAT ITS BUILT FOR. A PURE EXPRESSION OF SPEED AND SIMPLICITY. A new low cut silhouette with ground-breaking stretch materials lock the foot into the boot, providing ultimate stability and support. 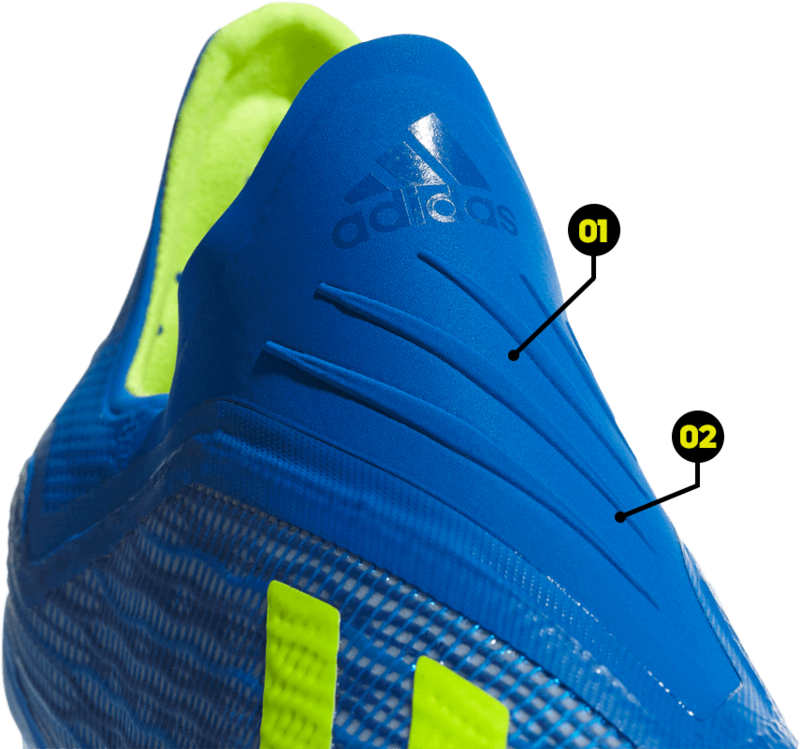 Secures ultimate lock down in the mid-foot when accelerating and during high speed movements. Ultra thin woven grid of optically charged speed yarns cover the base layer to give a lightweight and responsive feel. Velvety soft Speedmesh is precisely engineered to offer minimalistic feel and direct touch. Ensures no interference between the foot and ball. State-of-the-art, lightweight, drillium engineered tooling innovation and minimalistic constrution offers extreme traction for rapid acceleration. 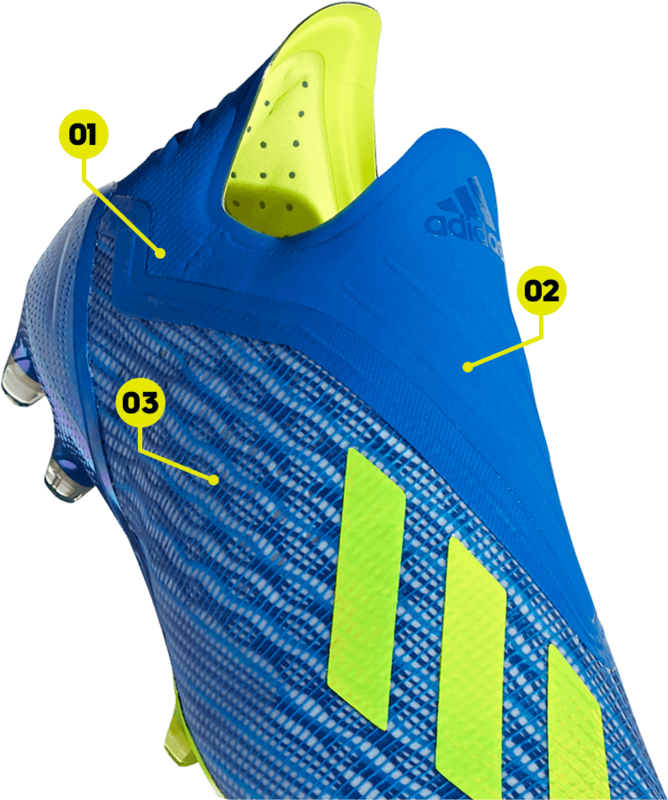 Innovative laceless closeure system optimised for explosive movemnt in a low cut silhouette. 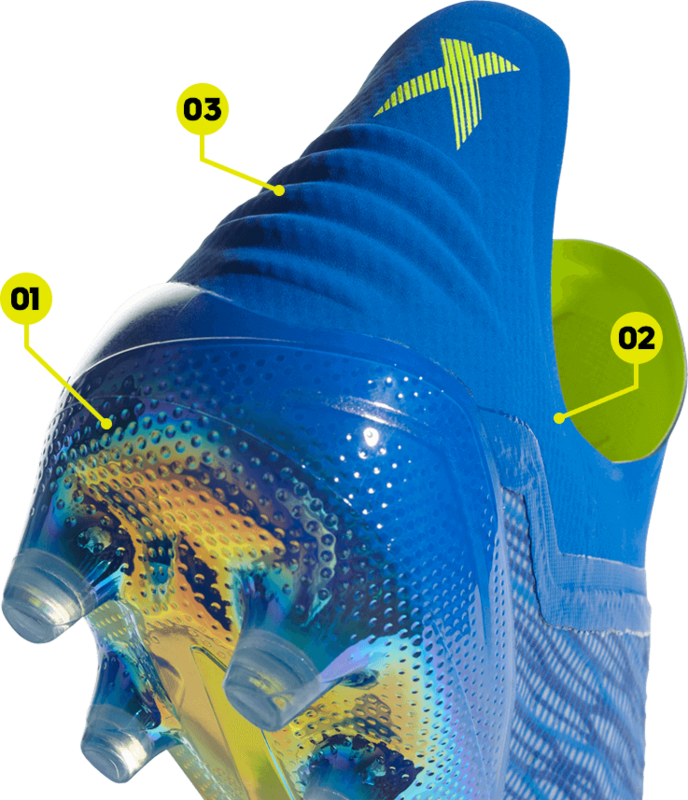 The 3D molded heel provides a snug and stable fit that locks your foot firmly in place during explosive acceeration.